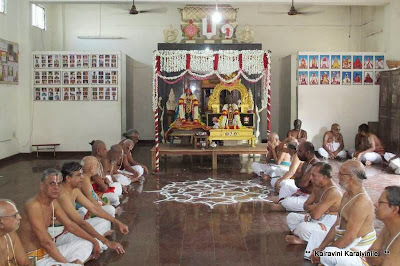 Today ~ 15th Dec 2013 (karthigai nakshathiram in the month of Karthigai) marks the birth of ‘Thirumangai Mannan’..... it is also the day of our Acharyar – Nampillai. 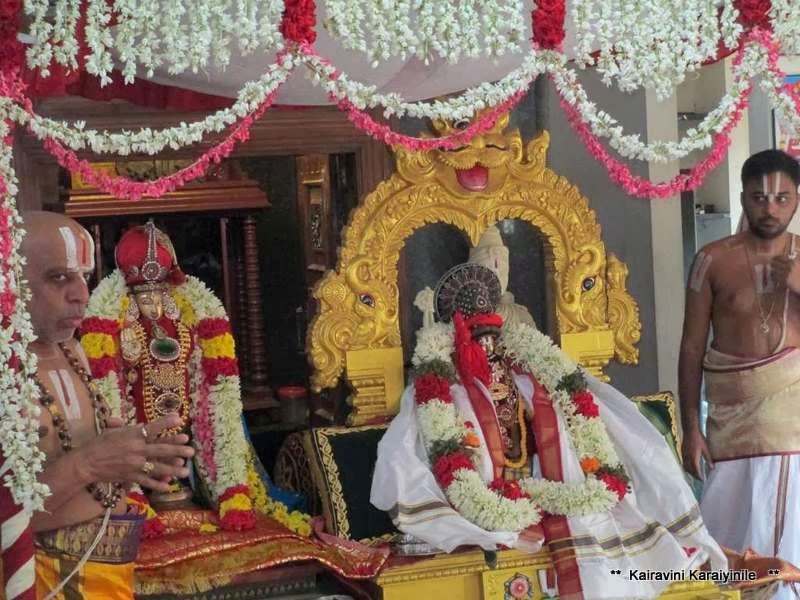 Strictly following the clear and profound kalakshepams of Sri Nampillai, his student, the generous Vadakku Thiruveethi Pillai rendered to the whole World – the insights of Swami Nammazhwar’s Thiruvaimozhi in what is known as “Eedu Muppathu Aarayiram”. Sri Nampillai, in the Sri Vaishnava Acharya paramparai is known for his scholastic excellence. 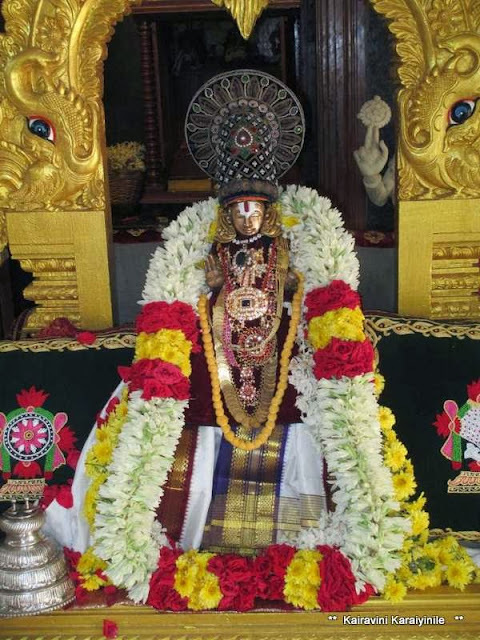 He was the disciple of Sri Nanjeeyar and acharyar of Vadakku Thiruveethipillai. 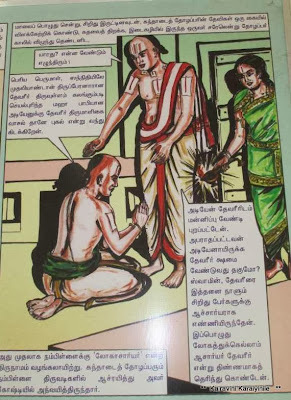 His commentary on Thiruvoimozhi known as Muppathu Aarayira(m)ppadi - is considered as the best amongst the vyakyanams; considered equivalent to Thiruvoimozhi itself and is celebrated as “Eedu” . Swami was born as “Varadhacharyar” in the year Prabhva, 4249 kaliyugadi, in Krithikai Month in Krithikai Nakshatra. He lived a life of 105 years in this world. His period is 1147 AD – 1252AD. Nampillai discoursed the lectures of Parasara Bhattar to his disciples Periavachaan Pillai and Vadakku Thiruveedi Pillai. who in turn employed them in their respective commentaries. “Muppathu aarayirappadi” of Vadakku thiruveethipillai based on the discourses of Swami Nampillai is considered the best. 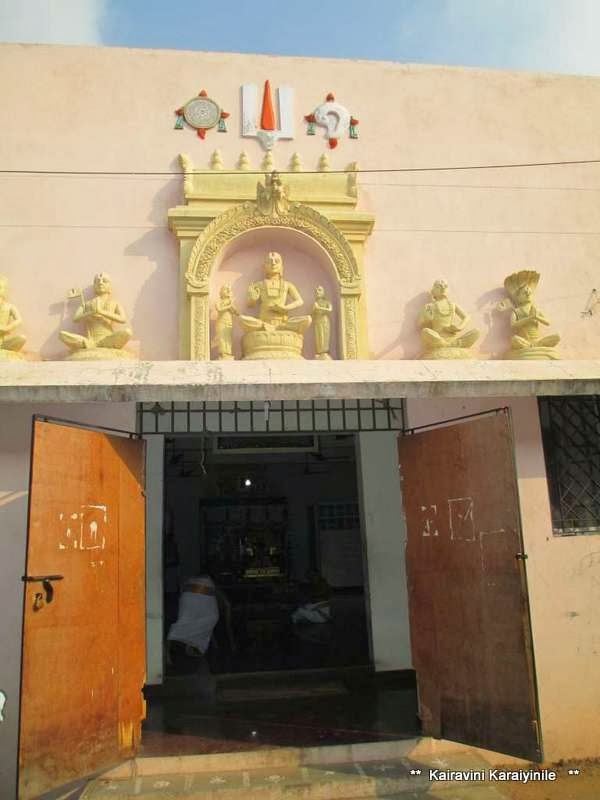 Nampillai of this fame has a sannadhi at Triplicane, situate at the front of Sri Bhandaram Committee place commonly known as “Komutti bungalow”. 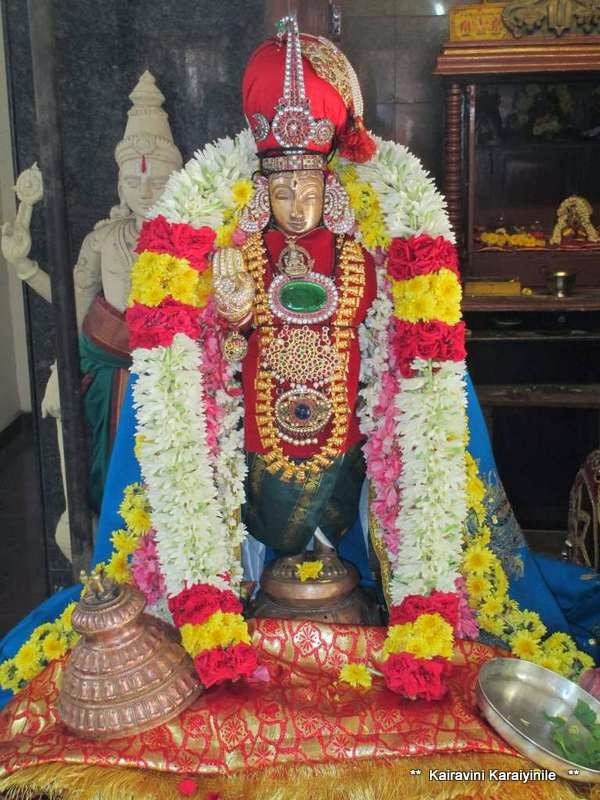 This one created by Yogi Parthasarathi Iyengar and his wife was Yogi Singamma, primarily for publishing the great granthams of our Vaishnavaite mahans houses Nampillai sannathi and the idol of Lord Namperumal. 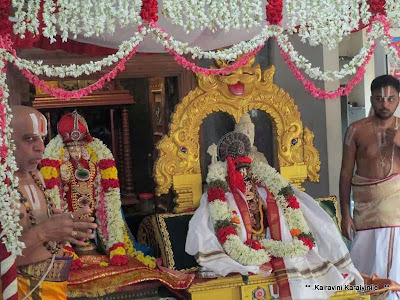 On the occasion of Sarrumurai vaibhavam, this morning there was ‘Upadesa Rathinamalai and Thiruvaimozhi Noorranthathi’ goshti at Numpillai sannathi. 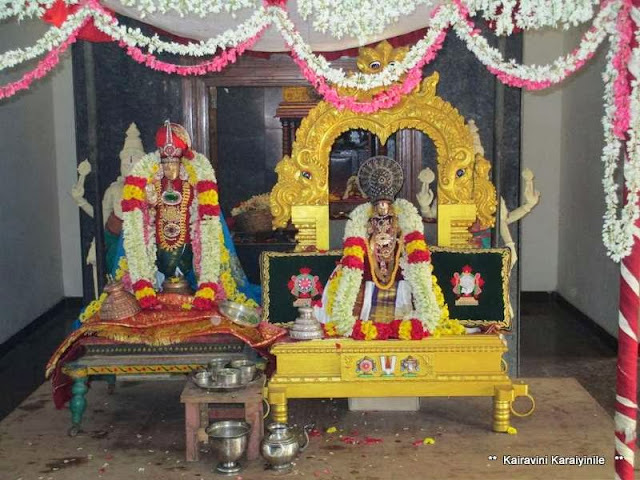 Here are some photos taken during the function.